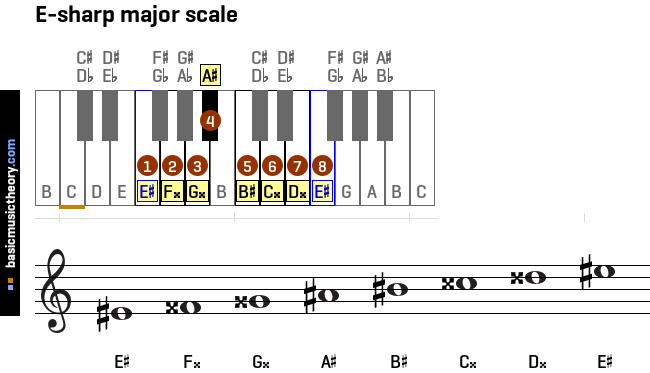 This page shows piano and treble clef diagrams of all major scales, starting from note C.
The C major scale has no sharp or flat notes. This is a commonly used major scale key - C major on circle of 5ths. 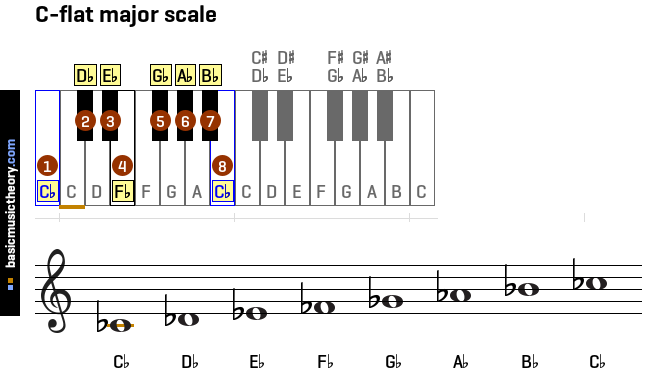 The C-sharp major scale has 7 sharps. 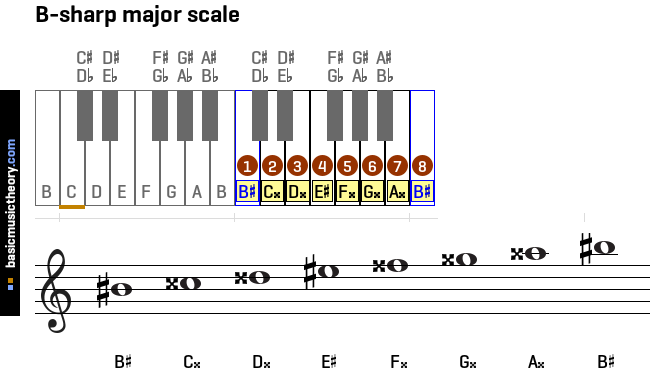 This is a commonly used major scale key - C# major on circle of 5ths. This is a commonly used major scale key - Db major on circle of 5ths. This is a commonly used major scale key - D major on circle of 5ths. 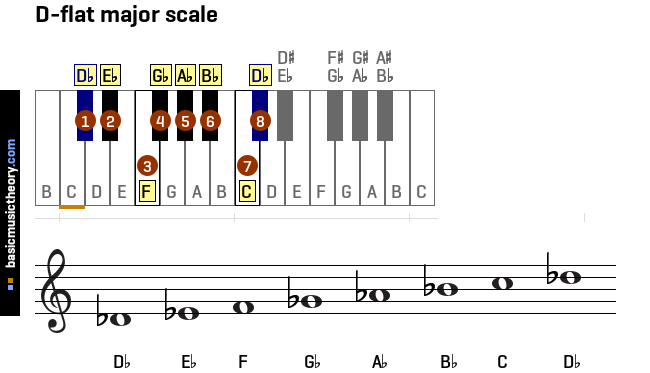 The Eb major scale contains the same note pitches, is easier to work with, and is a direct replacement. 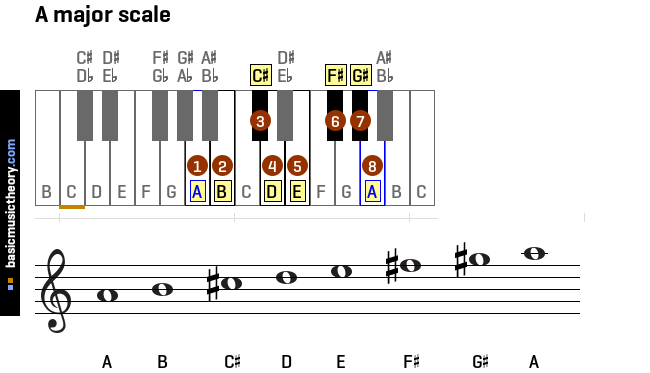 This is a commonly used major scale key - Eb major on circle of 5ths. 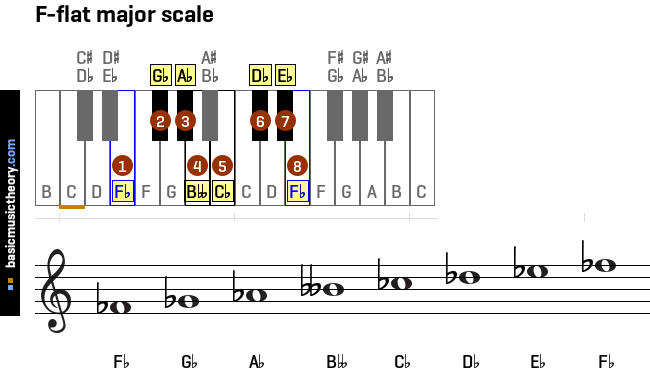 The E major scale has 4 sharps. This is a commonly used major scale key - E major on circle of 5ths. 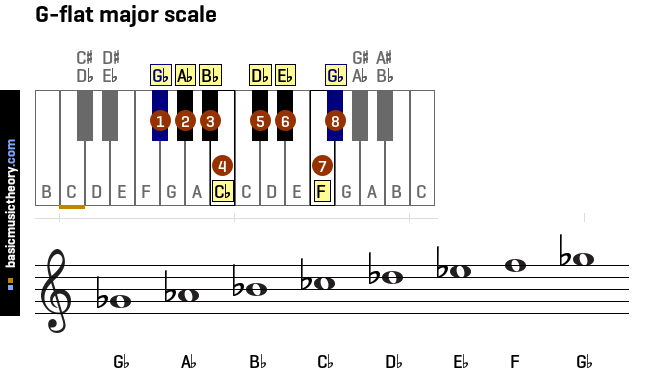 The E-sharp major scale has 3 sharps, 4 double-sharps. 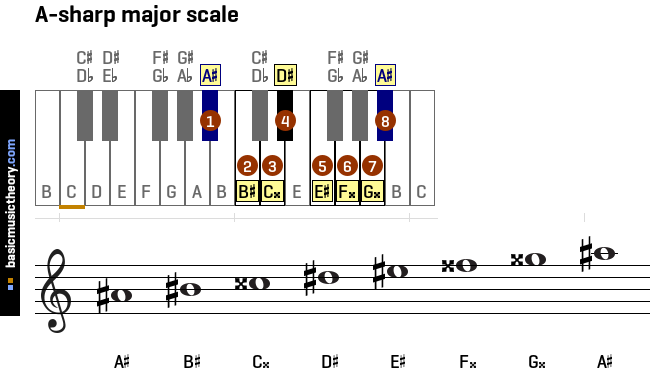 Warning: The E-sharp key is a theoretical major scale key. The F major scale contains the same note pitches, is easier to work with, and is a direct replacement. 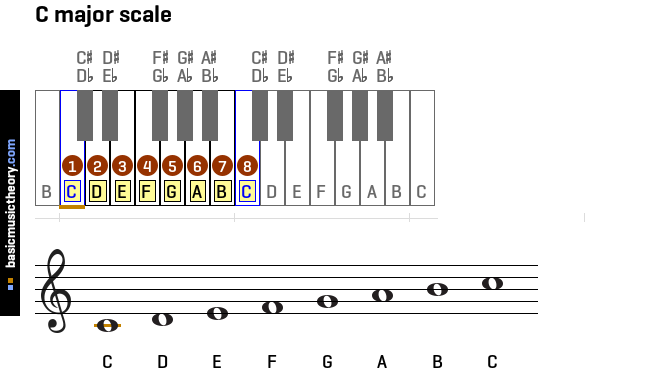 The F-flat major scale has 1 double-flat, 6 flats. 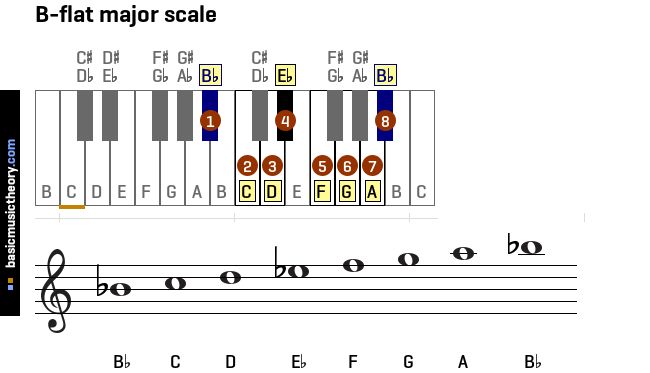 Warning: The F-flat key is a theoretical major scale key. 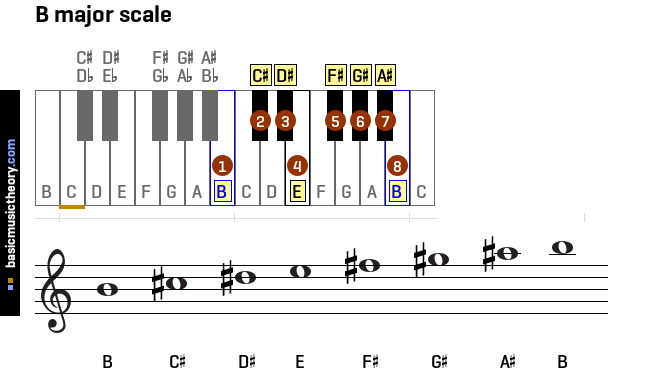 The E major scale contains the same note pitches, is easier to work with, and is a direct replacement. This is a commonly used major scale key - F major on circle of 5ths. 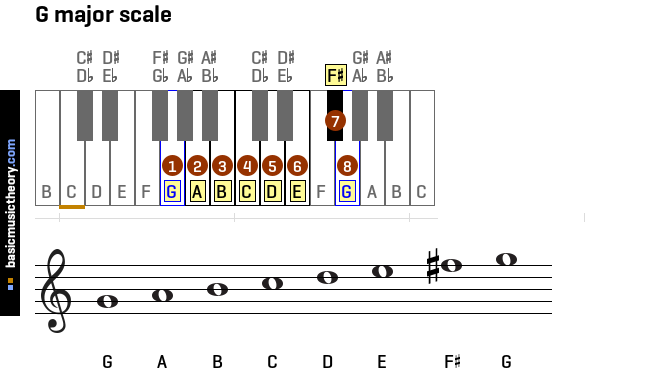 This is a commonly used major scale key - F# major on circle of 5ths. 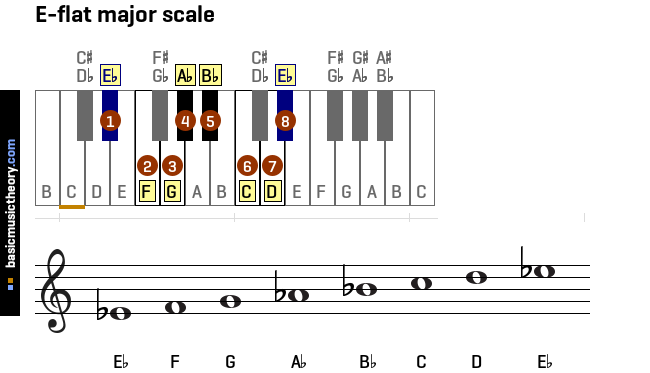 The G-flat major scale has 6 flats. This is a commonly used major scale key - Gb major on circle of 5ths. The G major scale has 1 sharp. This is a commonly used major scale key - G major on circle of 5ths. 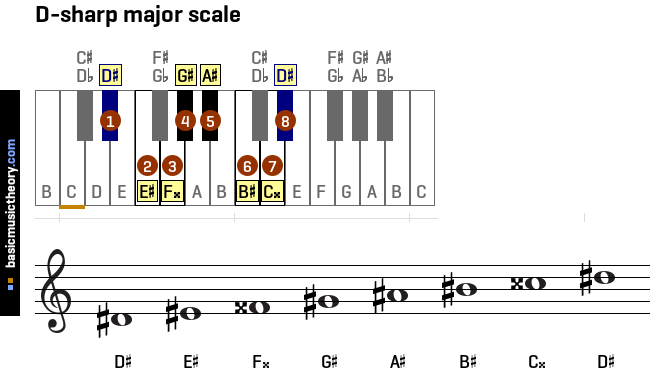 The Ab major scale contains the same note pitches, is easier to work with, and is a direct replacement. This is a commonly used major scale key - Ab major on circle of 5ths. 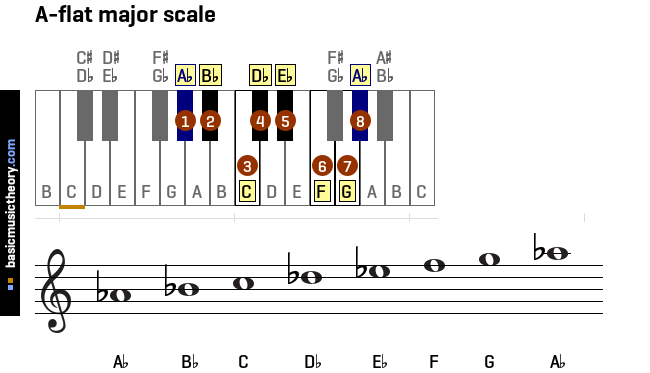 The A major scale has 3 sharps. 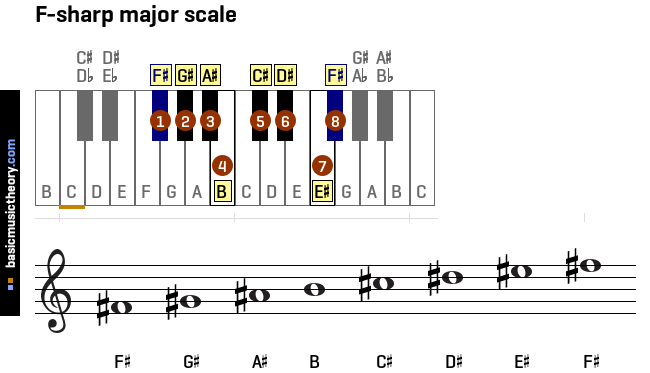 This is a commonly used major scale key - A major on circle of 5ths. The Bb major scale contains the same note pitches, is easier to work with, and is a direct replacement. The B-flat major scale has 2 flats. This is a commonly used major scale key - Bb major on circle of 5ths. 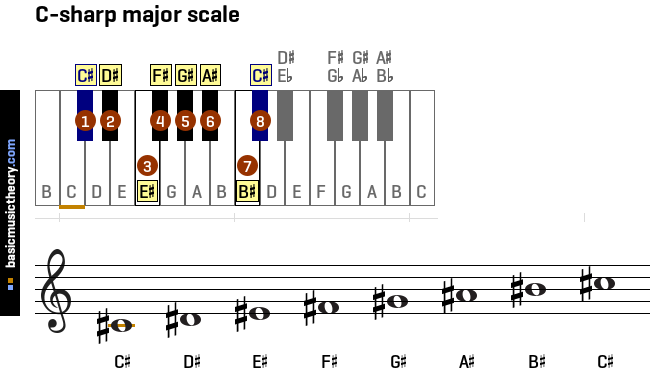 The B major scale has 5 sharps. This is a commonly used major scale key - B major on circle of 5ths. The C major scale contains the same note pitches, is easier to work with, and is a direct replacement. 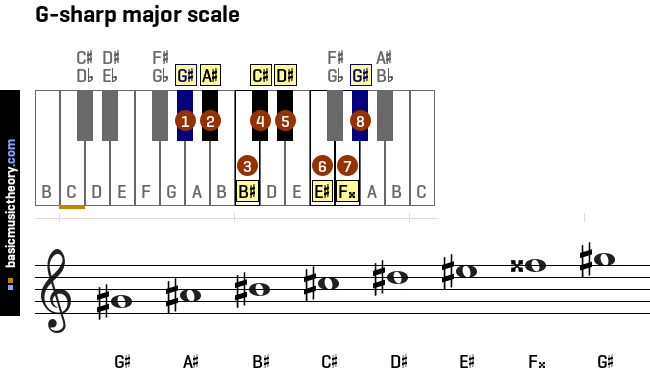 This is a commonly used major scale key - Cb major on circle of 5ths.